Khaliah Ali's talent as a passionate communicator is limitless. An in-demand speaker on weight-related issues, Khaliah is committed to helping young women everywhere develop and nurture positive self image and high esteem. She has successfully carved out a diverse and well-defined path of her own, but like her father, heavyweight boxing icon and civil rights activist Muhammad Ali, is committed to helping people around the world. Ali shared her lifelong struggle and triumph to control and maintain a healthy body weight in her book, Fighting Weight (HarperCollins). This supremely personal work chronicled her decision to choose gastric banding surgery as a way to put an end to a chronic battle with weight. She brings audiences inside her decision making process and explains why this decision was appropriate for her but may not be right for others. She has shared this message coast to coast as a spokesperson for Allergen Pharmaceutical's "Moment of Truth Campaign," an initiative that identifies ways to address the continuing national obesity problem. Of the 20 million Americans eligible for weight loss surgery, only one percent actually step forward to have a procedure done, largely because they fear the risks. Ali was one of them. 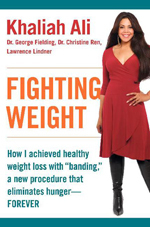 Her book is the first that promotes the benefits of this new procedure that provides a safer, cheaper, and less invasive alternative of obesity surgery. Lap-Band surgery does not involve stapling your stomach or cutting your intestines in two. Instead, it's a relatively low-tech procedure in which a band is placed laparoscopically around the stomach and periodically tightened to reduce hunger sensations. Ali has worked on a number of television programs whose subjects range from sports, fashion, children's rights, to young adult issues. She has reported for ESPN's Cold Pizza and was host of the weekly BET roundtable show Teen Summit , which taught teenagers how to cope with life and peer pressure. She was nominated for an Emmy Award for hosting Education is Paramount, a Philadelphia based public affairs weekly broadcast. She has also appeared a number of times on the Today Show, Entertainment Tonight, and The Insider. Ali has served as Associate Communications Director for the Say No To Drugs - Yes To Education national outreach program and worked as public relations consultant for Big Brothers/Big Sisters. 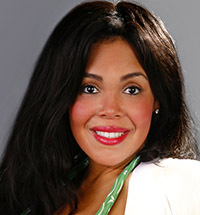 Additionally, she is the international on-air spokesperson for Youth at Risk, Inc.
Other affiliations include Ali's work as advisory council chairperson for the Salvation Army's Soup's On Project; advisory board member and spokesperson for Help,USA; chairwoman for Friends of The Statue of Liberty Foundation; director of development for the Urban Retrievers Program; youth entertainment consultant for Elizabeth Glaser Pediatric Aids Foundation; and Senior Staff Member with the Job Core Program, Inc.
With a fine eye for detail, design, and presentation, Ali is also the creator of Diversity by Khaliah Ali , a plus-size fashion collection created exclusively for the Home Shopping Network. The launch proved so successful that she has expanded the collection and now designs an additional line for Simplicity sewing patterns. Ali lives in Philadelphia with her son, Jacob.